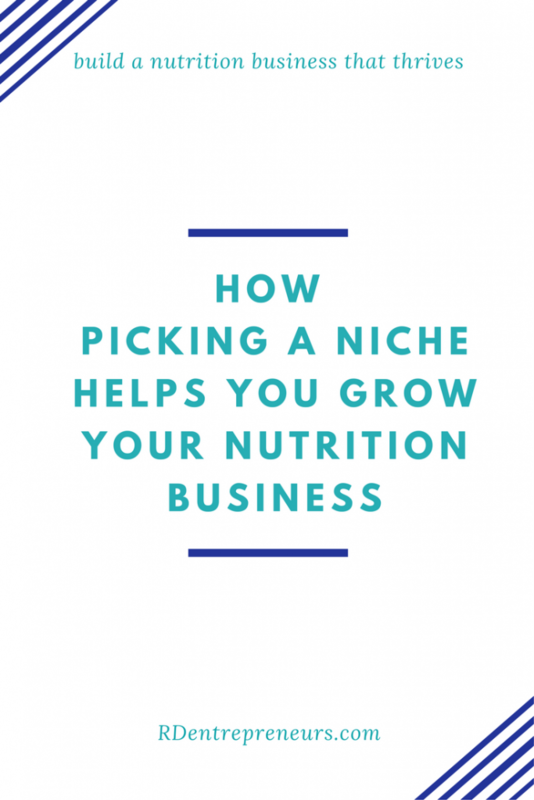 Chances are as a nutrition entrepreneur you’re sick and tired of hearing that you need to find your niche. Maybe, just maybe, you’ll be one of the few that can get by and be successful helping anyone and everyone, but more than likely you won’t. Picking a niche isn’t about trying to pigeon-hole you. It’s about helping you hone in your marketing efforts, allowing you to speak directly to the type of client you want to attract, and making sure you appear as THE expert to hire (because you are!). Narrowing your focus can feel scary at first. Turn down a client?! What? No way! But I promise you, you’ll get more clients in the long run if you can be very specific about what you offer – and you can do exactly that once you find your niche. Quick, don’t think too much: What’s your answer? Ok, that’s great. You are. But did you really tell them what you do? Did you make them want to hire you or refer a friend to you? Probably not. Ok, now the friendly neighbor can call Sally over and say “Oh you just have to talk to her about Stevie’s diet & ADHD”. Now the triathlete down the street wants to talk to you. You’re not hearing about finding a niche ad nauseam for no reason. Although it may feel like it will limit your clients, in reality once you find your niche it really helps you attract more. 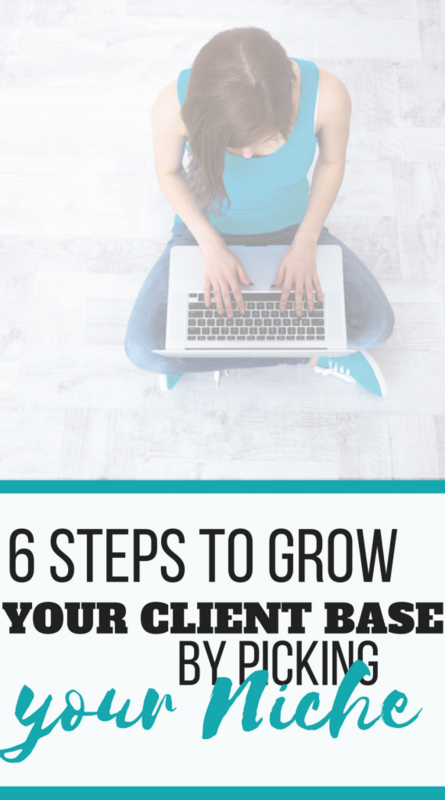 Better yet, it helps you attract the clients you WANT to work with.